Today is October 1st, the first day of the tenth month, the 274th day of the year, the first day of the year’s fourth quarter, and the anniversary of the Mensa International being founded in 1946. Or, as Matthew Daddario would say: the best day of the year. Today marks 31 years since Matt was born. In the years we have been lucky enough to follow his career so far, he has proven time and time again just what an incredible person he is. What better day than today to reflect on that? Put on a birthday hat, grab a piece of cake (we’d recommend chocolate, but any will do) – and join us as we look at just some of the reasons why Matt truly is in a class by himself. “If you let me just go talking, it’s gonna get out of hand really quick,” Matt said during his first Sunday Meet and Greet of The Hunters of Shadow 2, and honestly, truer words have never been spoken. During said Meet and Greet, Matt managed to touch on portraying Alec in the flashback in 2×18; tribal culture and how small tribal groups can be; how he doubts the existence of giraffes; construction work; how he likes doing things himself and how room service in part means being treated like a king (leading to a tangent about Alec ruling the Empire State Building and having lots of gold); reflections in mirrors, which in turn led to him theorizing about Alec stealing Magnus’ magic and then becoming king, and last but not least: the mating ritual of pigeons. Mind you, this was a thirty-minute Meet & Greet. Other things that have been subject to Matt’s tangents are for example biodegradable plastic and… butts. And who can forget San Diego Comic Con 2017, when Matt spent most of his interviews with Harry Shum Jr. and Isaiah Mustafa talking about how Alec wants out of the Clave, coming up with detailed theories about how they get their money involving Vampire fangs and Werewolf claws? Matt’s speeches are more often than not accompanied by his hand gestures, and Comic Con was no exception. However, while Matt was going off about the Clave and how they change CEO faster than a start-up in New York, Isaiah Mustafa was sat right next to him, mimicking Matt’s every gesture. It was definitely a sight to behold and we, as well as Harry and Isaiah, enjoyed every word. Regardless of what Matt is going on about, hearing his thoughts on things is always incredibly fascinating. And while transcribing his interviews has led to our fingers blazing over the keyboard trying to keep up with his elaborate thoughts that he tends to share at a rapid-fire pace more often than not, one thing is for certain: we wouldn’t have it any other way. 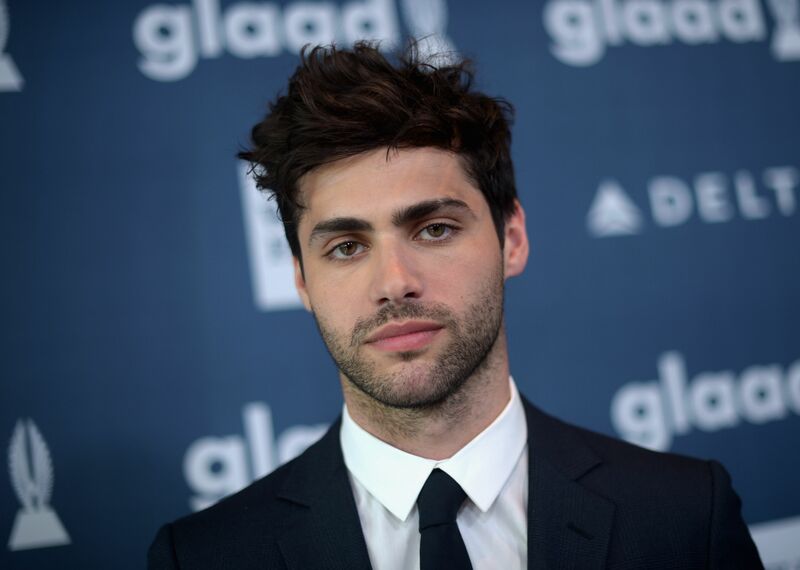 When Freeform announced on May 8th, 2015 that Matthew Daddario would be playing Alec Lightwood on their upcoming fantasy show Shadowhunters, an up-and-coming actor from New York City became known to an audience of hundreds of thousands of people from all over the world pretty much overnight. Since then, his followers on social media have multiplied millionfold and the numbers on his Instagram and Twitter accounts just keep growing. One might think that this much success overnight can get to a person’s head quite easily (which is certainly true), but with Matt, pretty much the opposite seems to be the case. As anyone who’s ever met him at a convention or randomly ran into him on the street somewhere can confirm, Matt is actually an incredibly nice, down-to-earth person, which also shows in how he deals with his fans. He could limit his interaction with fans to a couple of mandatory #ShadowhuntersChat tweets here and there, just to please the fandom and be done with it. But that doesn’t seem to be Matt’s style. Actually, quite the opposite seems to be the case – instead of appeasing the fandom with a couple tweets or Instagram posts, he makes sure people actually get the chance to meet him and travels the world to attend conventions all over the planet. Matt is the cast member with the most convention appearances, he attended every past Shadowhunters convention and is a confirmed guest of all the upcoming ones as well. He is also no doubt one of the most popular guests at any Shadowhunters convention, signs more autographs and poses for more photo ops than any of his colleagues – and still greets every fan with a smile, makes sure everyone gets to spend some time with him, gives everyone a memorable experience, listens to their stories and is just super nice to his fans in general. Of course convention guests get paid and those weekends are essentially just work for them, but with Matt (as with the rest of the Shadowhunters cast) it feels like they really enjoy attending these events and meeting their fans. And since this isn’t something you should ever take for granted as a fan, it’s bound to be one of our favorite features about him. When Matt was announced as Alec Lightwood in May 2015, he made a promise to the fandom that he’d be the best Alec they could possibly ask for. More than three and a half years later, there is no doubt he’s kept that promise. Any actor portraying a character in book adaptation could probably tell you that it’s no easy task. There is tons of source material to be respectful of, and a dedicated fandom waiting with bated breath to see if the character they love will be rightfully portrayed. With Shadowhunters, it wasn’t any different. City of Bones, the first book in The Mortal Instruments series, was released in 2007. Between then and when Matt was announced, the fandom had been growing and growing for eight years already. Aside from that, there was more than the responsibility of an accurate portrayal that followed with depicting Alec Lightwood. Alec’s coming out story has resonated with fans all over the world, and it was important that it – and him – would be done justice on the show. It’s sadly been a far too often occurrence that straight actors have portrayed LGBTQIA+ characters while paying no mind to the community they were representing, or even worse, flat-out disrespecting it. With Matt, that couldn’t be further from the truth. He’s kept his promise over the past few years, actively learning from the fans , letting them hold him accountable and urging them to call him out if he ever offends them. Knowing not only what the character of Alec Lightwood means to fans but also the importance of Magnus and Alec’s relationship, Matt has always been nothing less than respectful of the significance that entails and has been very attentive to the fandom’s thoughts and opinions. Touching on this during his Saturday Meet & Greet at The Italian Institute 2 convention, he talked about the huge responsibility portraying Alec means, especially given Alec being part of the LGBTQIA+ community: “A lot of people now will say that it’s fine, we’re past it, that we got gay marriage and everything. But that’s not true. Young gay men and young gay women still face tremendous difficulties worldwide and in the US, depending where you’re from. So it’s a tremendous responsibility to continue that push.” Talking about the impact of Magnus and Alec’s relationship with Jim Halterman, Matt said “it’s definitely important to us that kids, people, look at us [and] these characters and it affects them in a positive way.” He also highlighted this in an interview with KSiteTV, talking about the the tremendous responsibility of “entering into a world of people who identify with these characters and this world, and suddenly we’re here to play these characters on screen,” as well as his and Harry Shum Jr.’s hard work and dedication to portray Magnus and Alec in an honest, realistic way. In an interview with RAW, Matt stated that he’d “like to be remembered as being good [and] not harming people. At the same time I want to be remembered for doing something important that affected people for positive change.” With Shadowhunters and everything him and Harry Shum Jr. have achieved in terms of helping people come to terms with their sexuality and embrace themselves, it is safe to say all of those elements have been achieved. In a different interview with Jim Halterman, Matt talked about how LGBTQIA+ fans’ reaction to the show is the best part of his job: “When I see that online and I see that in person, it’s really touching. It makes me feel like I’m doing something very worthwhile. Something good. Something more than just TV and more than just a show, more than just entertainment. It’s been wonderful meeting people and getting letters from people all over the world. I mean, that’s been actually the most meaningful part of this job the past few years, just seeing that… without a doubt,” highlighting not only the massive impact Shadowhunters has had, but also once again proving why he truly is the best Alec Lightwood the fandom could have ever asked for. Having watched Matt depict Alec Lightwood throughout two and a half seasons, one thing is for certain: Matthew Daddario was meant to portray him. Ever since we got the first glimpse of Alec in the pilot, that has been an unwavering truth. Matt has taken his job of portraying Alec with the utmost care and responsibility, putting hard work and his heart and soul into depicting his multifaceted character. While Matt is the #1 Malec supporter, he is also Alec’s number one defender. During an joined interview with Katherine McNamara during New York Comic Con 2017, he declared that Alec is “a sweetie pie” who can do absolutely no wrong. While that isn’t exactly true, it is a great example of how fiercely Matt feels for Alec and how much he cares about him. And if that isn’t enough to show it, just one look at his Twitter is more than enough. Some of his (iconic) live chat Tweets include “Everyone. Meddles. With. Alec. Just stop it. He’s just trying to live.” and “Can everyone just leave Alec alone for a minute he wants to watch TV.” Talking about the 3A finale with us during The Hunters of Shadow 2, Matt said that “Alec will do whatever to right [Magnus having lost his magic] in his mind even if what’s in his mind is not correct,” not only highlighting one of Alec’s most admirable traits but yet again proving to be Alec’s foremost defender. Talking about the similarities between him and Alec with AOL Build in January 2017, Matt said: “I feel like Alec is just another timeline of myself, maybe. Maybe one where things are slightly different or I have a different set of circumstances, and… Because ultimately it’s still me, right? Because I’m running around up there doing all that’s Alec’s stuff. And you can’t completely eliminate yourself from it, so there’s definitely a part there.” What this does is highlight in how so many innumerable ways, Matt is Alec. No matter what happens, a part of Matt will always live on in Alec Lightwood, and a part of Alec Lightwood will always live on in him. The Malec fandom is a rather passionate one, and while there are lots of people out there who care a lot about the happiness of a certain Warlock and Shadowhunter, there is one person who is better (or worse?) than us all together – and he is not even a fan per say. Matthew Daddario has been captaining the Malec ship probably since the day he read the script for 1×12 for the first time. And he is fiercely protective of it, which he has proven several times over the course of the past three years. Like when he (not so) inconspicuously shaded a Climon moment on the show, claiming during a live chat that “the Malec moment was better than their stupid thing.” Or when he tweeted a number of hilariously salty clapbacks after the Shadowhunters twitter account brought up the idea that 2×18 might be the end of Malec. Matthew, and Harry as well, not only understand and respect how much Magnus and Alec mean to the fans of Shadowhunters, they are both big fans of Malec themselves. Every single Malec scene reflects the care these two have for their characters, and while we of course adore every bit of Malec we can get before the show ends, we have to admit that small moments like the ones mentioned above are every bit as satisfying. While Matt’s social media presence is mostly limited to his time after being cast as Alec, there is certainly no shortage of quality content. One of the most admirable things about him and furthermore his relationship with his fans is how willing he is to share things, whether it be memories, experiences, or pictures. His social media is filled with stunning vacation shots, taking us right to many of the destinations he traveled to, and adorable childhood photos. Beyond that, there are beautiful animal photos that highlight his photography talent and various bits and pieces that let us get to know him further. During past conventions, Matt has shared plenty of travel anecdotes and even offered up some advice on traveling. He’s shared general advice: “Make sure it’s in your budget in a comfortable way. There is interesting places everywhere, it doesn’t matter where you go as long as you know how to have fun there,” but also more detailed travel recommendations about places he’s been to and enjoyed himself. 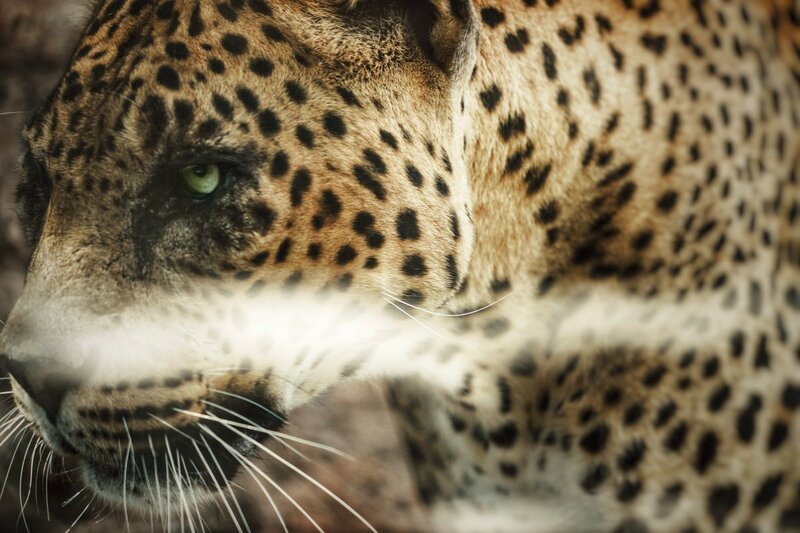 Beyond that, he’s also let fans see more of his photography, like during The Hunters of Shadows 2 when he showed pictures and videos of animals he’d taken recently. While being a private person, Matt has never hesitated to share parts of himself with fans to help them get to know him better. Whether it’s random fun stories, advice on how to make the most out of a trip or shared holiday memories on Instagram, they are pieces of the puzzle he makes up, and we will gladly see every part he is willing to share. We hate to do this, but for this next one we have to take you on a trip down memory lane back to a few dark days in early 2017 – back when we were voting for Malec in the final round of the “E!Online TV’s Top Couple of 2017” poll. Sorry for the war flashbacks, you all are still probably having nightmares about Captcha codes, street signs and storefronts as we speak. Another epic example of Matt trying to bring some decent manners into this sometimes way too overdramatic fandom was when someone cursed while writing a comment on one of his Instagram lives: “My connection is what? You guys have to learn not to curse on this thing, this is a public thing. You can’t curse here, there’s kids here. That’s not nice.” Considering that only a few months later half of a video that was part of his RAW feature had to be censored because he cursed so much that statement kind of backfired – but it was funny either way. It’s no secret that Matt can rock just about everything he wears – from looking sharp in a dark suit at award shows to looking casual in jeans and a T-shirt at the airport. Hair wise, we are yet to see a style he hasn’t been able to pull off, and honestly, we doubt that day will ever come. Seeing him in the Tombolo shirts he has been favoring for a while, like the one he wore to this year’s Teen Choice Awards, or one of his floral shirts like the one he wore to Wondercon 2016 are just some great examples of his style. Not even because of the patterns themselves, per say, but because they show his unapologetic style and how he isn’t afraid of showing just who he is. Whether if it’s hearing Matt talk about photography and the time and work he puts into it or seeing his actual work documented on his social media accounts, his talent for the craft is undeniable. His photos take us along with him on his adventures and experiences, and give us a spectacular look into how he sees the world. People who started watching the show after episode 1×12 aired for the first time might not remember, but there was a time when Magnus Bane and Alec Lightwood were not the picture perfect dream couple that they are today. Regardless, they had obvious chemistry and were the fan-favorite ship from the day that the Shadowhunters premiere aired in January 2016. As we all know, Matt is the biggest Malec shipper of the entire fandom, so he soon caught on that people shipped Alec and Magnus. In fact, he actually started to joke about it, which led to one of the worst – but also most epic – puns he has delivered on Twitter so far. …while others seemed a little bit random. Anyway, he kept the fandom guessing about what these seemingly random tweets meant (and sure had a lot of fun watching us coming up with theory after theory) and we got new seemingly random tweets to laugh (and agonize) about every week. It was only after several weeks of boat tweets that we found out they had not been random at all. In fact, they had only been in preparation for his biggest – and probably worst – boat pun so far. He certainly caught the fandom off-guard with that last one. And even though the boat tweets died with episode 1×12 and the end of season 1 just a week later, it still remains one of Matt’s funniest Twitter ideas, and he still delivers quality jokes from time to time. For this though, he actually took the time to troll the entire fandom for several weeks to deliver one single pun. Dedication. Matt’s live chats have become rare these days, but whenever he does decide to go live on his Instagram or Periscope, it’s always a treat. For one, because it’s nice of him to take time out of his day to talk to the fans for a little while. And secondly, the content of those live chats has a habit to be pretty damn hilarious. Whether it’s pumpkins, conspiracy theories about where Alec’s story might be headed, cows, random anecdotes from set, answers to fan questions or literally anything else that’s on his mind – Matt has a way to always make his live chats entertaining and funny. Furthermore, per Matt’s own decision back when he was shooting season 2 of Shadowhunters, his live chats instead became love chats, trying to spread some love and positivity in the fandom. While we miss the lives, we certainly felt – and still feel – the message and significance behind them. 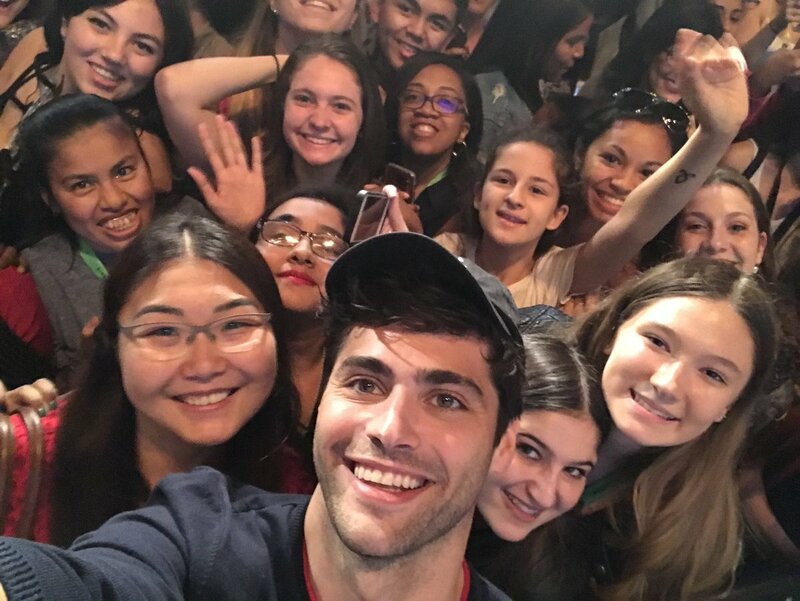 Whether the news he wants to share has to do with Shadowhunters or not, live chats seem to have become one of Matt’s preferred ways to communicate with his fans. He’s done plenty of short live chats, just to inform people about upcoming projects of his – or to simply thank them for something, like he did after The Hunters of Shadow 2 convention in Paris last summer. Back then, Matt went live late at night just to show off some of the gifts he received at the con and to thank the people who got them for him. A few weeks after that convention, he went live again on the final day of shooting Shadowhunters. His most recent lives are sadly only a few minutes long, but now that he has definitely figured out how to start and end a live chat, we’re hoping to see more of them in the future. The days of exclusive live chat scoops from the Shadowhunters set may be over, but we’re sure Matt will have interesting stories to share regardless of where his career takes him next. While Matt is an exceptional actor, he is also so much more. He has time and time again proven to be a man of many talents; writer and producer can also be found on his resume. In terms of acting, his credits not only include Shadowhunters but also Naomi and Ely’s No Kiss List where he played a doorman called Gabriel, and When the Game Stands Tall, a movie based on real-life events where he played high school football player Danny Ladouceur, just to name a few. He’s both directed and produced The Last Hunt, an intense short film about morals, integrity and ethics, and he’s also a producer of Nomad Cowboys, a documentary following the first American Kok Boru team. The common denominator for everything he does, though, is his incredible work ethic. No matter what he is working on, he always takes the time to make sure that he is fully prepared for the task, having learned everything necessary. He aims to do everything to the best of his ability, and it shows in the end results. His exceptional work ethic and the effort he puts into every projects shine through in everything he does and all parts of the journeys he embarks on. While Matt himself claimed during a Meet & Greet at The Italian Institute convention last year that he barely knows anything, it can’t be denied that he does give some pretty good advice. Whether it’s about acting or life in general, the collection of impressive Matt quotes has grown consistently over the past few years. His cast mates have called him the human Google, and while Matt has claimed he never listens to his own advice, Katherine McNamara has urged fans to always listen to him. Asked what advice he would give to people struggling with their sexuality, Matt said: “Who you are is who you should be,” a simple yet powerful quote that has resonated with fans all over the world, some of whom have even asked him to write it down for them when they’ve met him at conventions so they could always have the words with them. In portraying Alec and in who he himself is, Matt has become a source of comfort, wisdom and strength for many. No matter if it’s about acting, following your dreams, or general words of encouragement, Matt always has some wise words of advice to give that resonate and stick with countless of people. Speaking of Matt and how he seems to love taking pictures of animals, one thing more that does is prove just how much he loves animals. Not that that’s anything new – beyond his Instagram being filled with cute animals in all sizes, he’s mentioned his love for four-legged creatures plenty of times. His love for cows is by now so notorious that at last year’s The Italian Institute convention, he received 74 stuffed cows. It’s also so widely known amongst his Shadowhunters cast mates that at San Diego Comic Con 2017, they joked about sending him pictures of various cows they see. While they’re definitely the most well-known example of Matt’s love for animals, it doesn’t stop there. One look at his Instagram reveals his love for alpacas, dogs, young chicken and birds, just to name a few. Beyond that, Matt has also proven to be great with kids. Whether if it’s spending time with young child actors on the set of Shadowhunters, like Ariana Williams who portrays Madzie, or talking to young fans at conventions, Matt’s kind-hearted nature and tenderness always shines through. Talking to RAW, he said that he wants three kids, whereas he said during a Meet & Greet at The Italian Institute 2 that his greatest achievements in life would be to raise a family with happy children. Matt’s love of animals and children is not merely adorable. There is an old saying that “You can easily judge the character of a man by how he treats those who can do nothing for him,” and it couldn’t be more true when it comes to Matt. In every encounter he has with animals and children, his kindness, giving nature, warmth and consideration shines through. Everything about his character radiates and brings life to the above mentioned quote. It speaks volumes about who he is as a person, and honestly, we will never grow tired of hearing it. Everything we’ve listed above shows parts of who Matt is as a person. Yet, the list of reasons why he is as remarkable as he is could be made infinite and we cannot wait to see what kind of adventures and journeys he will let us all be a part of next. Happy 31st birthday, Matt. We hope your birthday is an exceptional one, and that there’s plenty of cake, love and happiness to go around. May the upcoming year and your future projects be everything you want them to be. We’re so excited to see where life will take you next. Swedish-Austrian writing duo that the rest of the SDN team probably still regrets creating (we may or may not have a problem with keeping our articles short). When we’re not busy with late-night writing sessions or struggling to find the perfect headline, we like to work on our escape plan because there is no way the team will let us live after writing another 10+ pages piece. However, if you‘re reading this, it means they let us get away with another monster, so yay us. 2018 © ShumDario News All rights reserved.